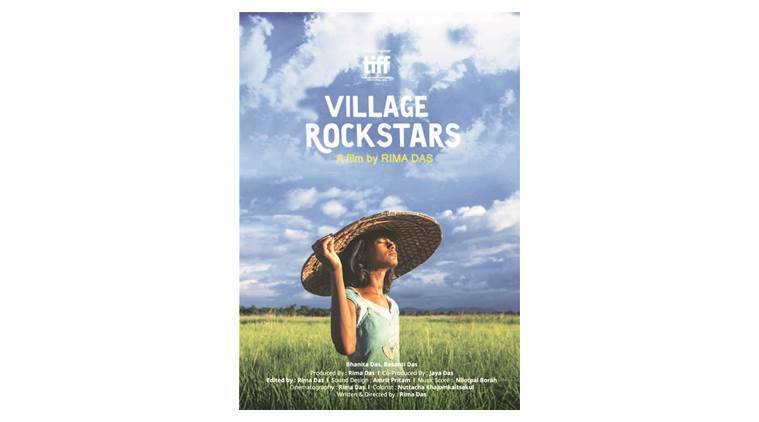 A 12-member jury of the Film Federation of India, led by Kannada producer-director SV Rajendra Singh Babu, selected Village Rockstars as India’s official Oscar entry in the category over at least 29 other films. Film was shot on hand-held camera on a shoe-string budget. Film-maker Rima Das had just reached home at Kalardiya village in Assam’s Chaygaon a day ago and was busy preparing for the September 28 release of Village Rockstars when the film was announced to be India’s official selection for the Oscars in the Foreign Language Film category on Saturday morning. “Thank you, thank you, thank you! There isn’t much to say, but this…(And also that) this is probably the day I had been waiting for all my life,” Das told The Sunday Express over phone. A 12-member jury of the Film Federation of India, led by Kannada producer-director SV Rajendra Singh Babu, selected Village Rockstars as India’s official Oscar entry in the category over at least 29 other films, including big-budget Bollywood productions Padmavaat and Raazi, submitted to the jury for consideration. Made over a period of four years, the film was shot on a hand-held camera and a shoe-string budget in rural Assam and casts non-professional actors, sourced mostly from Kalardiya village. It was earlier named the Best Feature Film at the 65th National Film Awards. The movie revolves around a 10-year-old girl, Dhunu (played by child actor Bhanita Das), who dreams to form her own rock band and goes in search of an electric guitar in her village. It takes an emphatic look at the flood-ravaged life of Assam villagers who still have to pursue their dreams. “The children (actors) literally learned how to act under ‘mukoli aakax’ (open skies) of Chaygaon,” Das had said earlier in April. It is under the same sky that Das had grown up — a tomboy, who spent most of her childhood scaling trees with the local village boys. In her village, films were something to be watched, not made, and film-making definitely not something to be learnt. And yet Das trained herself in the art by watching videos online. In 2003, she finally moved to Mumbai to make her dream a reality. “It is a big deal because when you don’t receive recognition, you tend to feel things are not possible. It stops people from trying. I hope this inspires many young people,” Das said. Another movie with a link to Assam is also making waves at the Oscars 2019. Norway has officially chose Bollywood actor Adil Hussain starrer What Will People Say as its entry to the Oscars under the ‘Foreign language film’ category. Hussain is from Goalpara in Assam. The 91st Academy Awards is scheduled to be held on February 24, 2019.